What happens if you harvest great quality coffee but you don’t have anywhere to process it? 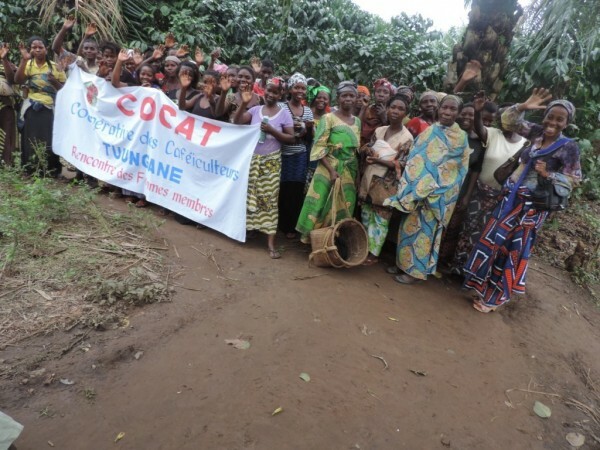 This is the situation that many farmers face in the Democratic Republic of Congo and is one of the many reasons why JavaJog for a Cause chose to fund the International Women’s Coffee Alliance (IWCA) Congo Chapter’s project to support women coffee farmers in Lubarika and Ndolera village and Uvira Territory to build their own coffee washing station. The $20,000 grant awarded by Java Jog for a Cause, matched with additional funding provided by Food for the Hungry USA, was used to purchase equipment and provide infrastructure support for processing their coffee. Construction begins on the washing station. Chantal visits the project site with technicians. Ms. Binwah provided us with a detailed look at the system they are implementing and how this will impact the area, “Our 3 disc pulper with Aagaard pregrader system has the processing capacity of 3 tons an hour. For that, we allow to process 450,000 kgs of cherry during all the harvest period. 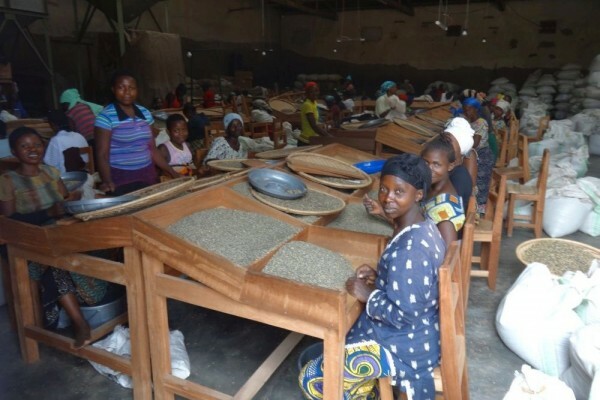 With this production, we’ll attend 1500 small women’ coffee growers and others from Uvira, Walungu and Fizi Territories.” She explains that the washing station was conceived to process the two variety of coffee : Arabica and Robusta. Not only will the washing station be very beneficial for women members of TUUNGANE COOPERATIVE, it will help the women further meet their goal of establishing their rights and position within society through economic empowerment. This year’s 5K JavaJog Run and Walk will be held Friday April 10th at 7:30am (7:00am for the 10K) in Seattle in conjunction with the annual EXPO of the Specialty Coffee Association of America (SCAA). 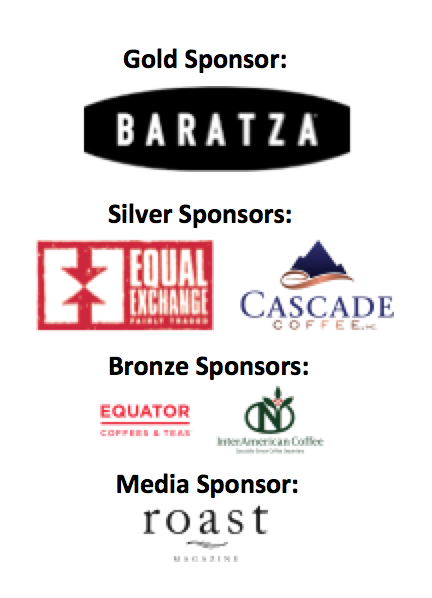 Register through the SCAA EXPO Registration process, or here. This year’s event, the third race, will benefit women of Ethiopian coffee producing communities, and will provide individuals, teams and corporations the opportunity to contribute to improve livelihoods of women within these communities. Teams are being invited to run and fund-raise, with prizes to be awarded to the best performers. We expect 300 runners this year to gather at South Lake Union Park for a beautiful run (or walk) along the lake. Stay tuned for more details – don’t miss the fun! And, its all for a great cause. JavaJog SCAE brought together 10 runners from 6 nationalities for a 5K Fun Run through the parks of Rimini. Coffee professionals from the UK, Ireland, Australia, Netherlands, Honduras and the US met up at the John F Kennedy Plaza near the Rimini marina on a sunny morning, June 11. The race was put together as an impromtu gathering for fun, fitness and to raise funds for coffee women in the Eastern Democratic Republic of Congo. In all, more than 200 Euros were raised and will be added to the funds from the SCAA Seattle JavaJog which was held on April 25th. JavaJog organizers are already planning a race for next year’s SCAE in Sweden ~ see you there!